“HAUNT – Ultimate Halloween Bash at EMP Museum” will continue its long tradition of being the most-anticipated Halloween party in downtown Seattle for 2016. “HAUNT” has sold out every year due to its outstanding location, value, entertainment and the most impressive and elaborate costumes in the city. 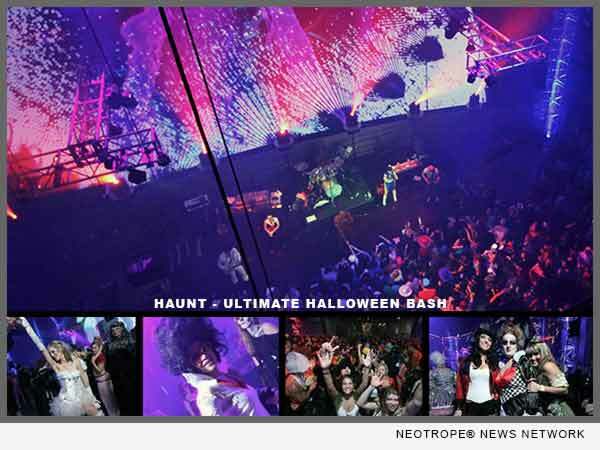 eNewsChannels NEWS: SEATTLE, Wash. — “HAUNT – Ultimate Halloween Bash at EMP Museum” will continue its long tradition of being the most-anticipated Halloween party in downtown Seattle. HAUNT has sold out every year due to its outstanding location, value, entertainment and the most impressive and elaborate costumes in the city. “HAUNT – Ultimate Halloween Bash at EMP Museum” provides over 2,000 attendees with one of Seattle’s premier live bands, a top-renowned live spinning DJ, plus access to most exhibits of EMP Museum included with admission. There is also a special VIP section for a premium price. It is being held on Saturday night, October 29, 2016 inside EMP Museum at 325 5th Avenue North, Seattle, WA 98109. Over 2,000 party guests dressed in amazing and creative costumes. Accompanied by a Monster Costume Contest including these fun categories: Scary, Clever, Most Elaborate, Best Group, Sexiest … and of course, Best Overall which will win the Grand Prize of a $1,000 check – to spend on anything the winner desires! Sky Church Stage, which boasts the world’s largest indoor LED screen, features the Brand X High Energy Party Band, noted for playing the most popular party hits from the 70s, 80s, 90s and today. Also appearing on the main stage is DJ Funk Daddy spinning and mixing live for the crowd. Access to most exhibits of EMP Museum is included with admission. WHEN: October 29, 2016, Saturday Night, 8 p.m.
AGE: 21+ — must bring valid photo ID.